A fun twist on solitaire with wild layouts, cosmic visuals, power-ups and more! 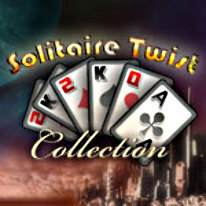 With over 500 maps, 5 types of cards, 5 backgrounds and 3 game modes, Solitaire Twist will throw you for a loop! Enjoy the classic strategy of solitaire combined with wild layouts, fun power-ups and stunning visuals.